Back in Plovdiv for Electric Orpheus’s Autumn event. From Australia we had the high-energy psychedelic butterfly Gaff E. She transcends genres flying her own divine style. Her colourful performances are a wild, carnal, hallucinogenic, activating trip. 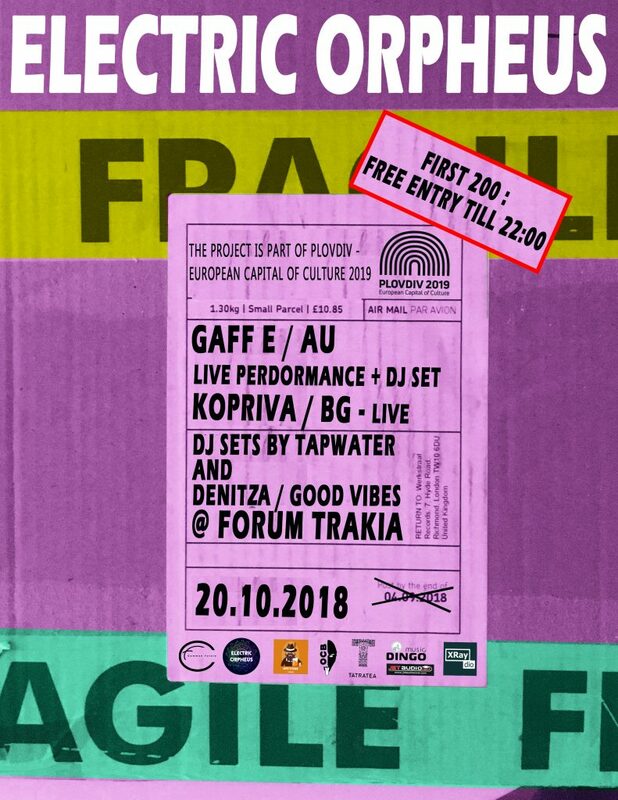 Add a live set from Bulgarian Kopriva + 3 x DJ sets. An unforgettable party night. EO on Instagram and Facebook. Pics from the event in October 2018 here. Electric Orpheus is a mini fest format in Bulgaria bringing out the most interesting and edgy artists. From Rock’n’Roll to Live Electronics, DJs, Theatre, Performance, Exhibitions and more.